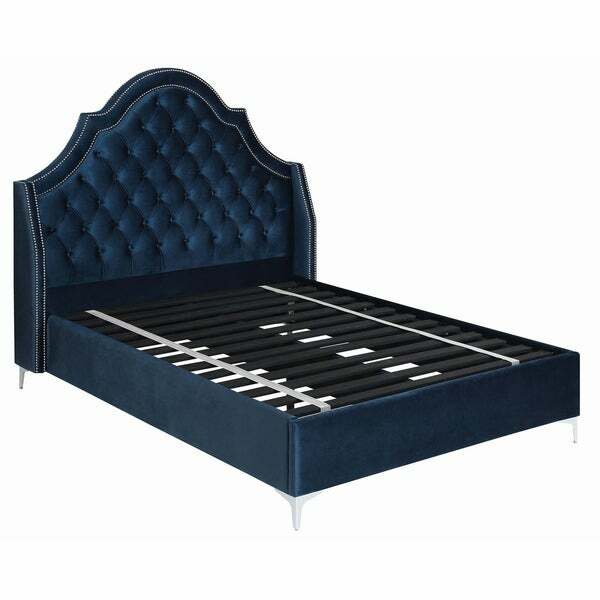 Plush blue velvet upholstery is accentuated with double row nailhead trim and button tufting on this stunning transitional bed. Its dramatically shaped arch headboard is complete with low profile rails and footboard that bring soothing sensibility to this luxurious design. Dimensions 87.0 In. X 70.5 In. X 65.75 In.